How far would you go to reach your dreams and success? 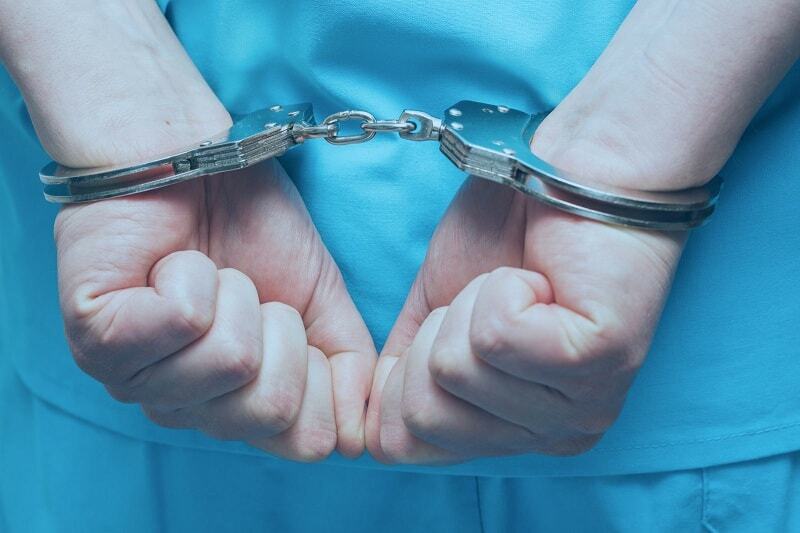 CALIFORNIA – A licensed vocational nurse has been charged with four felonies after allegedly submitting fake foreign transcripts and falsified documents in order to make his big dream come true, that is to become a registered nurse. DeWayne Dai Dela Guerra, commonly known as DeWayne Aundray Williams, was scheduled to appear in Sacramento Superior Court last June 27, 2018. He had been charged of two counts of felony due to false documents. 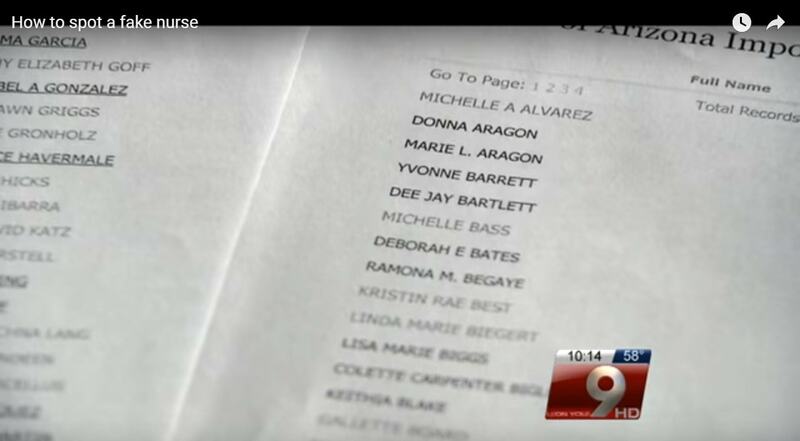 His falsified documents included changing his name from De Wayne Ondray Williams changed to DeWayne Dai Dela Guerra. Also, he had his birthday changed from October 28, 1978 to October 28, 1980. Dela Guerra was investigated by California Department of Consumer Affairs’ Division of Investigation, Endorsement Support Unit. They have found out that Dela Guerra claimed to have studied in Far Eastern University, one of the top schools in Manila, Philippines. He claimed that he attended nursing school in the Philippines during March 13, 2006 to March 28, 2010 and graduated on March 28, 2010. Upon checking with Far Eastern University, Dela Guerra was not registered as a student in the school. Furthermore, Board of Registered Nursing received confirmation that the documents Dela Guerra submitted were not authentic. Additionally, Respondent submitted to the California Board of Registered Nursing, documents purporting to be a transcript of records, diploma, related learning experience, school calendar ,and course descriptions; however, these documents did not originate from Far Eastern University. There had been a lot of previous cases of falsification of documents in order to fulfill their dreams of becoming a nurse in other countries. Fake nurses have gone international, from the locals who could get diplomas in Recto easily, to foreigners who would splurge dollars in order to be a registered nurse. A group of nurses in the Philippines have already raised their concern with the rise in the number of these fake nurses. Their main concern is the potential injury to the patient as a consequence of such pretension. In 2014, a similar case involving seven people have pleaded guilty of forging transcripts in order to become licensed as registered nurses. All of them were investigated by the Board of Registered Nursing (BRN) together with the Division of Investigation (DOI), the U.S. Immigration and Customs Enforcement (ICE), Homeland Security Investigations (HIS) and the Internal Revenue Services (IRS). The seven people mentioned above, similar to Dela Guerra, procured false documents from the Philippines. They are now facing seven years of imprisonment. Recto Avenue, Manila, Philippines – You name it, they have it. 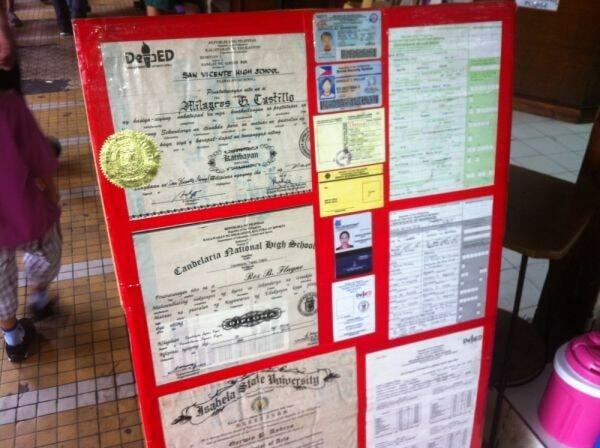 From fake identification card, fake government id’s and fake diploma. You would be likely a graduate of some prestigious university within one to two hours after paying $US10 to $US60. “Recto University”, is a street of forgers and counterfeiters found between Claro M. Recto and Rizal Avenue in Manila. According to the people working along the strip of Recto, they could do anything, as long as they have a copy of the original document. One of their popular item is the fake diploma. 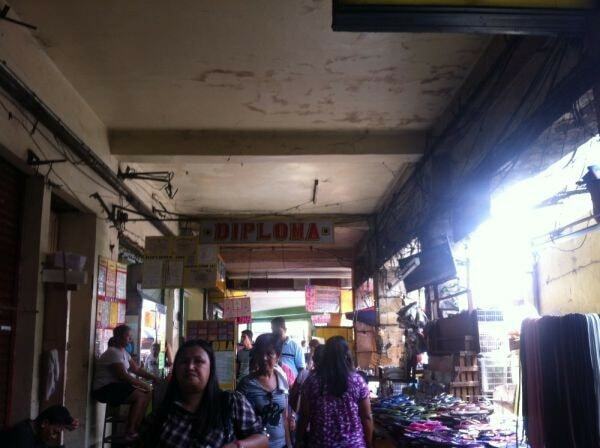 A high school diploma is worth 250 PHP or $US4 to $US 5 while college diplomas are at a higher price, about $10. This is probably the reason why a lot of fake nurses have emerged claiming they have graduated from prestigious schools. But these have not only been done by locals, surprisingly, foreigners have visited the strip and claimed services from “Recto University”. In 2015, a representative of NARS partylist in the Philippines, Leah S. Paquiz, said that the practice of illegally procuring school credentials have placed Filipino professionals and skilled workers at a disadvantage. “The Recto University is in itself passively allowing discrimination to proliferate against our workers as we are being branded as fraudulent workers,” Paquiz said. “One such case is that of a Filipino nurse in Jeddah who not only faces criminal prosecution for the felony of forgery of documents but stiffer penalties and prison terms for the crime of malpractice,” Paquiz said. Philippines’ lawmakers have already urged an inquiry on activities on Recto, as well as find ways on how to stop these illegal businesses. How to spot Fake Nurses? Board of Nursing spokesperson, Valerie Smith, said that they have caught 99 nurse impostors in the past 10 years. A preview of the long list of people, who have faked a license, stole a certification or simply tried to bypass the system without trying. Another easy way to spot a fake nurse is to check on the website of the Board of Nursing. Simply type the nurse’s name or their certification number and you will get a copy of their license. A copy of their Philippine passport must be obtained. It must not be Photostat and the names written on their passport must match with the names in their credentials and documents. An employer must obtain a copy of their official transcript of records, diploma and their Professional Nursing License ID (PRC ID). 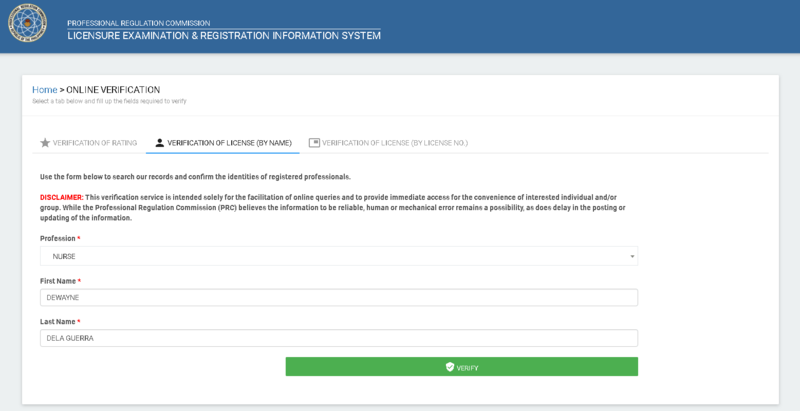 For verification of a true professional nurse, an employer may visit the website of the Professional Regulation Commission, the authorizing body issuing professional license in the Philippines. Visit www.prc.gov.ph and go to their Services section. Click and look for verification of professionals then key in the complete name of the nurse or the license number. This will automatically verify the person as a Registered Nurse. Desperate time calls for desperate measures. Not everyone who claims to be a nurse really is. No one would want their loved ones to be checked by someone pretending and pay them hundreds of bucks just to endanger the lives of their loved ones. Hospitals must be wary of applicants they want to hire and must always double check with their country’s Board of Nursing in order to hire only the legitimate nurses and not fake ones. This is a community of professional nurses gifted with literary skills who share theoretical and clinical knowledge, nursing tidbits, facts, statistics, healthcare information, news, disease data, care plans, drugs and anything under the umbrella of nursing. All information expressed here are courtesies of the respective authors. Views on topics do not generally reflect that of the entire community. Articles submitted here are original but are checked for minor typographical errors, and are formatted for site compatibility.This is a site that continuously improves and broadcasts healthcare information relevant to today's ever-changing world. © 2019 Rnspeak.com. All rights reserved.